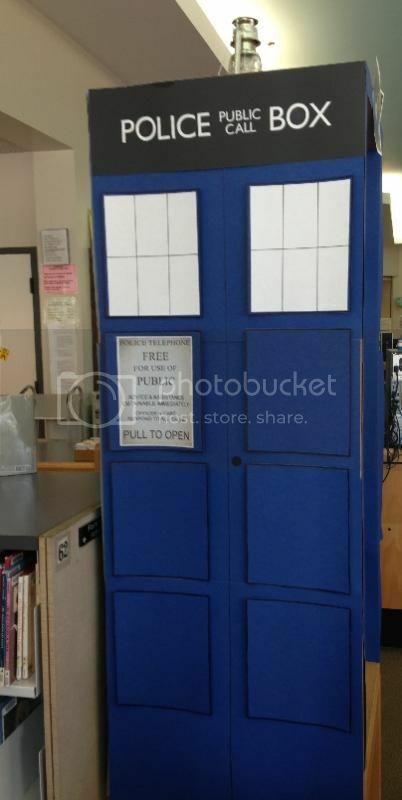 I'm pretty excited about the upcoming 50th anniversary of Doctor Who - so excited, I decided to put together a Doctor Who display at my library, transforming one of our display cases into a TARDIS. 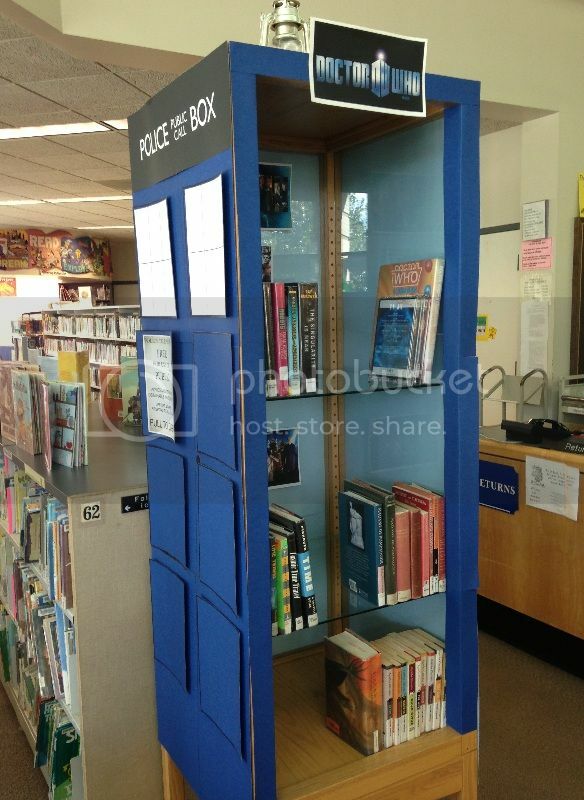 Inside, we put books on time travel, sci-fi, Doctor Who DVDs as well as books about the show. We also included biographies of historical figures featured on the show such as Madame Pompadour, Winston Churchill and Vincent Van Gogh. We included books by famous English authors mentioned on the show - Agatha Christie, Charles Dickens and Shakespeare's sonnets. I even put Harry Potter and the Deathly Hallows in there, since the Doctor claimed to have read it before it was published. So far, reaction has been very positive. A lot of Doctor Who fans have asked to take pictures with it, and we also get a lot of questions, "What is that blue box?" Bar none, I think this is one of my favorite displays ever. This is awesome! I'm so excited about the 50th anniversary too. Thanks! I owe most of it to my trusty coworker - she did the "Police Box - Public Call" lettering and assembled quite a lot of it.